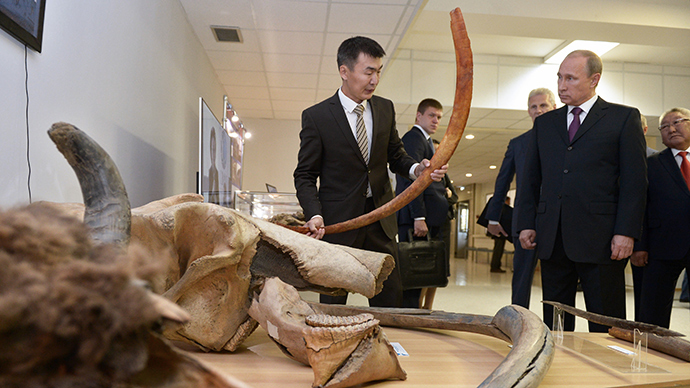 Upon meeting a 28,000-year-old mammoth mummy in a museum in the Russian Far East, Russian President Vladimir Putin wondered if the preserved soft tissues of the ancient animal could help clone it. The mammoth museum in Russia’s Yakutia is a unique place, hosting the rarest findings of the ancient animals’ remains discovered over the last decade. 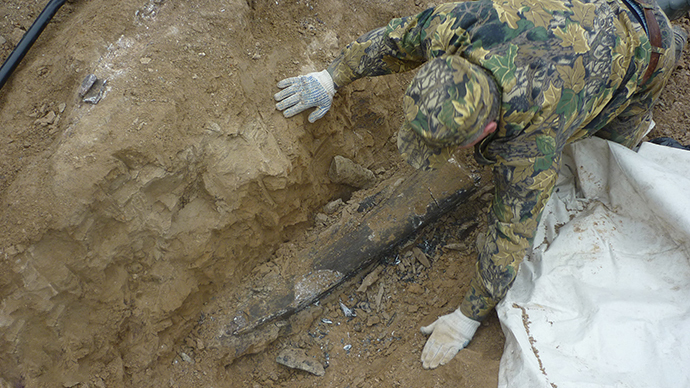 But the main treasure of the museum is the so-called Mamolyakhovsky mammoth, which was found along the Kolyma River shores in 1977. The 28,000-year-old discovery is not only a full skeleton of a baby mammoth (which means over 75 percent of bones belong to the same animal), but also boasts soft tissues and even liquid blood preserved in the animal’s mummy. The mammoth was about seven or eight months old when it died, and the scientists named him Dima. 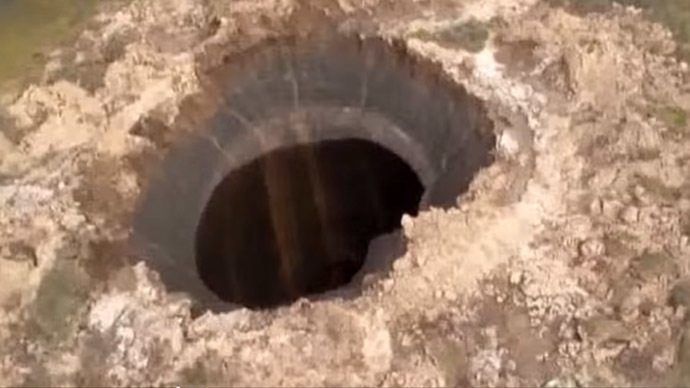 Upon seeing Dima on Monday, President Putin, who arrived in Yakutsk to participate in a meeting on regional development, became very interested in whether the mammoth’s remains could pave way for its cloning. “The soft tissues are preserved, so can it be cloned?” he asked. The museum’s employees assured the president that they are closely collaborating with South Korean scientists on that research area. 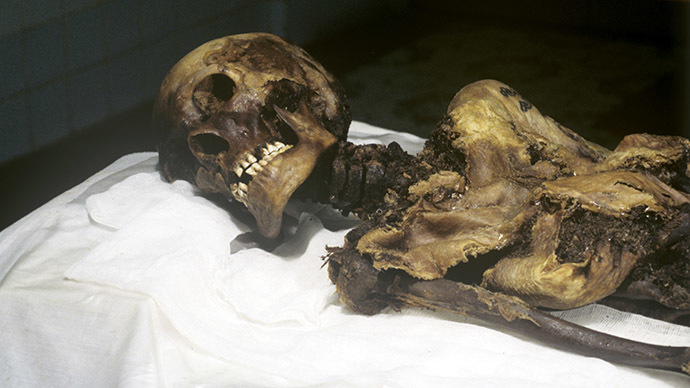 In fact, a whole blood vessel containing liquid blood particles has been found on the mummy. Apart from that, leucocytes and brown adipose tissue have reportedly been discovered. The latter is the evidence that the mammoth’s body adapted to the low temperatures, as this type of tissue helps preserve the warmth. As for the perspectives of cloning the ancient animal, scientists told Putin that there are whole DNA cells in the mammoth’s body – and the blood sample is kept at -17 degrees Celsius. The director of the museum, Semyon Grigoriev, told Putin that over the last four years the museum has managed to collect over 4,000 examples of bones, including a mummified dog which dates back 12,500 years, and is also the only one of its kind in the world. 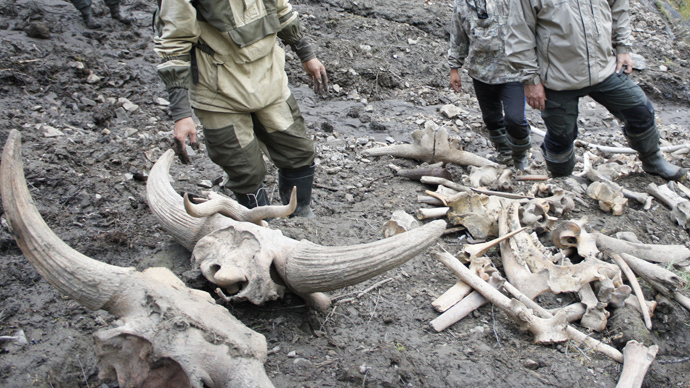 The Russian Far East is full of the remains of modern humans’ ancestors, as well as those of mammoths, wooly rhinos, buffalos, muskoxen, cave lions and other ancient species.